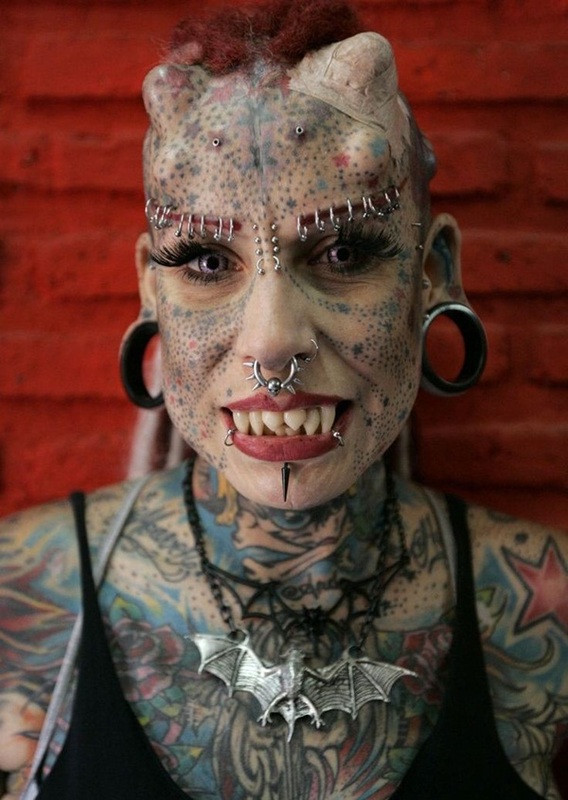 Tattoos are becoming more and more popular amongst women these days. While the designs, colors and sizes may be quite different than tattoos seen on men – many women prefer to get simple yet meaningful tattoos such as crosses and other religious symbols. Now, if you think that there is only so much you can design for a cross, you are highly mistaken. In fact, talented tattoo artists are able to create the most amazing and creative cross tattoos that fit the body of a woman perfectly, making the artwork look natural and vibrant. 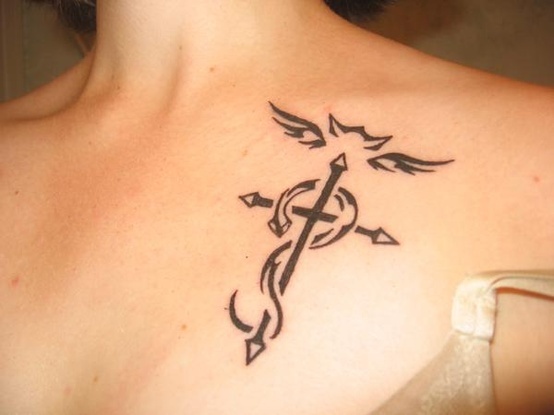 Here are some helpful things to keep in mind when researching the perfect cross tattoo design for women. Depending on where you are planning to get your tattoo, you must align the size with the body part in order for it to look natural. The most common places for a women to get a cross tattoo would be the leg, back or side – although these are far from the only places. Here are some examples of different styles of crosses that complement the female anatomy. Crosses with Rosary Beads are a popular choice amongst women to balance out the design and add details. Using rosary beads can help you create unique designs since the bead chain can be drawn out in millions of different ways – creating a one of the kind tattoo from one of the most common, simple elements. 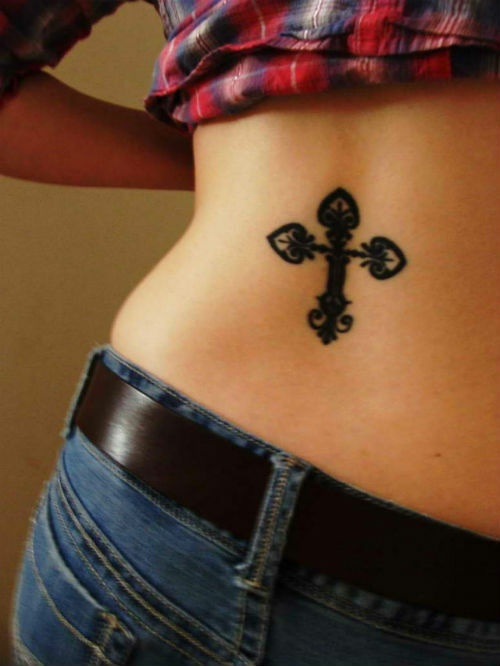 While many women use this type of cross tattoo as a memorial piece with extra details, they can also be used to fill in space as well, such as- long legs, the lower back or the rib cage area. Solid Crosses are also a popular choice for small tattoo pieces or smaller spaces. Many women prefer to place their cross on the wrist area, behind the ear or on the back of the neck area. This allows the piece to be easily covered if need be. Solid cross designs are usually done with black ink and are designed to solely showcase the cross shape itself. While any amount of detail can be added, the majority of women that choose this design prefer to keep it simple and plain. Using color on solid crosses can obscure the symbology and meaning of the piece completely. Tribal Crosses have become more popular amongst women over the last ten years or so since they are able to showcase an abstract yet feminine flow on the body. 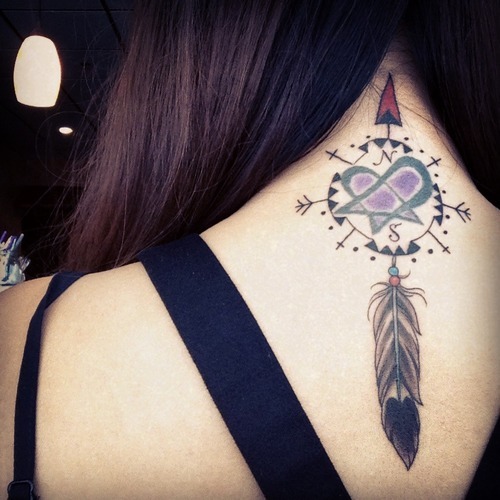 Tribal crosses are usually done in black and shaded ink but can incorporate a wide variety of color schemes and patterns in between the line work. Such a simple pattern can convey a powerful meaning, depending on the details that are involved. However, using simple tribal line work can also deliver a powerful message as well. Many women chose tribal imagery for the meaning, but also to express their free spirit in the line work as well. A woman’s body will naturally go through certain phases of the life cycle that can make getting a tattoo more like projecting the perfect puzzle. You will need to consider aspects of life such as weight loss, pregnancy and natural aging that will stretch the skin and could potentially leave your tattoo disfigured. For this reason, many women choose the ankles, feet and wrists to place their cross, since these areas are less likely to stretch throughout a woman’s lifetime. Here are some helpful tips to consider when designing your cross tattoo to avoid complications, fading or disfiguring over time. Tattoos that are constantly rubbing against clothes or exposed to the sun are more likely to fade over time naturally unless taken care of consistently. Choose an area of your body that you have had the least experience or issues with in regard to weight gain or loss. These areas are more vulnerable to developing stretch marks which can separate the ink work. Never place a cross tattoo, or any tattoo for that matter directly above an artery or vital organ. 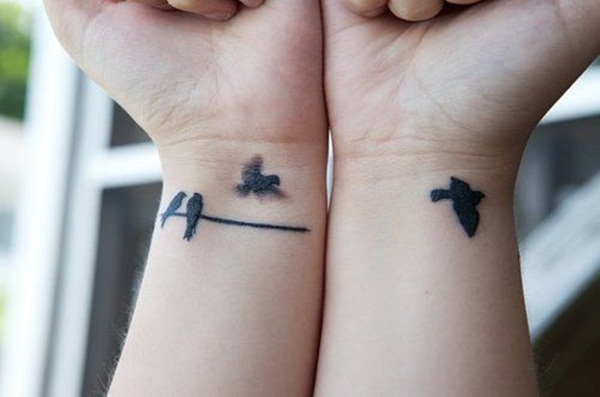 It may be far-fetched but in case of emergency, it can avoid damaging or destroying your tattoo if surgery is needed.